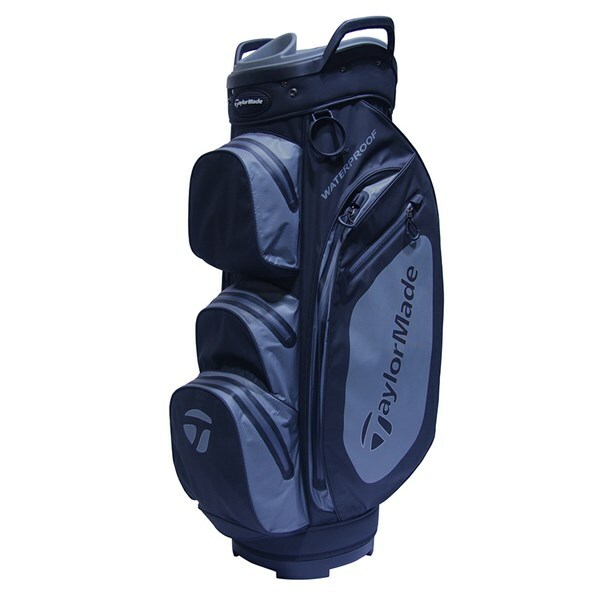 The TaylorMade Waterproof cart bag for 2017 has been created to offer excellent club management and storage to cater for your every need on the golf course. A 14-way divider provides excellent organisational storage for your golf clubs, the cart bag has three sectional full-length dividers that will stop the grips catching at the bottom the bag. Integrated into the top cuff design are moulded grab handles that make lifting and loading much easier. To provide protection from the elements a lightweight waterproof fabric with heat welded seams has been used, the empty weight of the bag is only 2.5kgs. 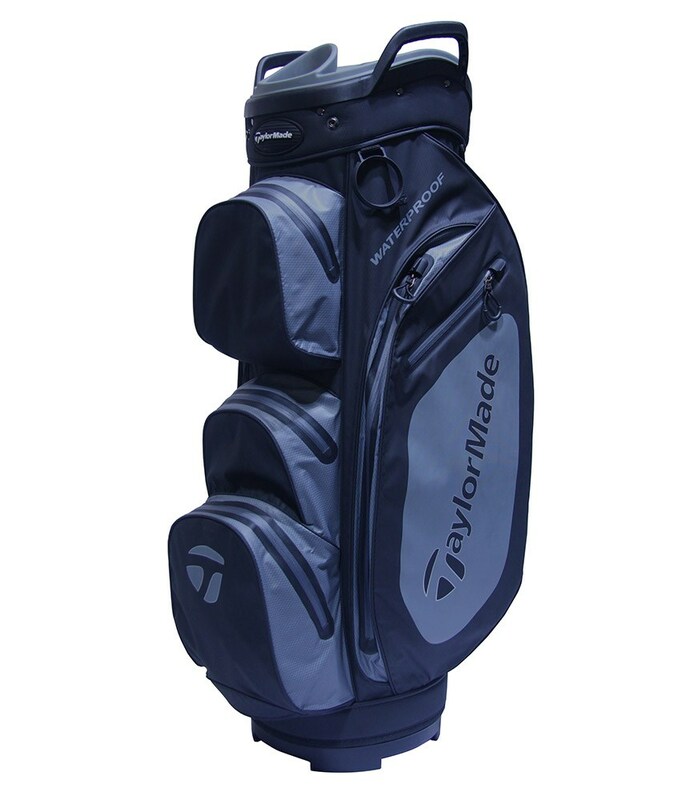 For convenient and accessible storage all of the seven pockets on the TaylorMade Waterproof cart bag are forward facing. Included in the design are a velour lined valuables pocket, two apparel pockets and a multitude of smaller accessory pockets. A cart friendly base unit has been used to secure the golf bag on just about all trolleys.